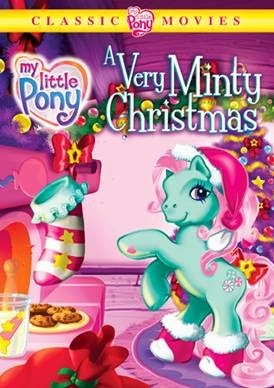 If your looking for a cute movie for a little girl in your life this Holiday be sure to check out the My Little Pony's : A Very Minty Christmas! With a sweet story about a clumsy pony who breaks the Here comes Christmas Candy Cane, the beacon that tells Santa where to come. Minty tries it all to make sure that Christmas still comes to Ponyville and in the end learns that with good friends Christmas will always come! This sweet video also includes a sing along, and is sure to be any little girls favourite new movie!